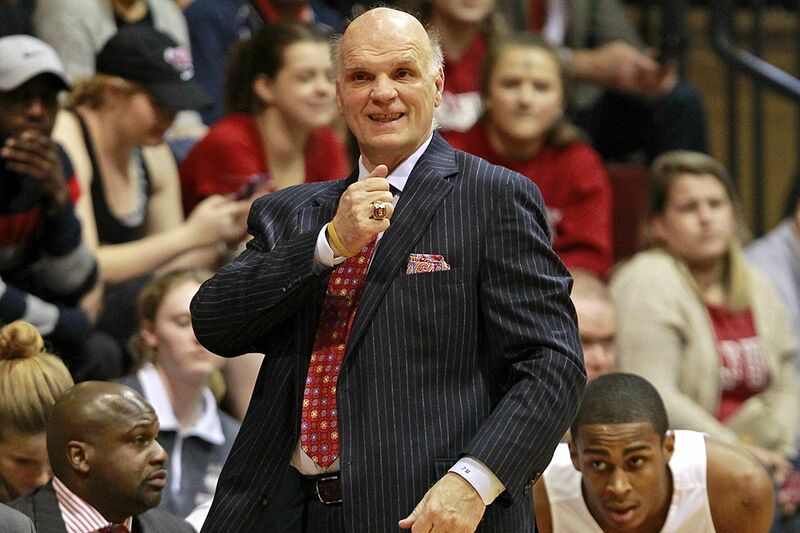 Saint Joseph's coach Phil Martelli added another player to next season's roster. A busy summer of roster moves for St. Joseph's men's basketball continued Tuesday with the signing of forward Valdir Manuel, a Class of 2018 recruit who had originally committed to Seton Hall but never signed. Manuel joins South Florida graduate transfer Troy Holston as the Hawks' second new addition just this month, following standout guard Nick Robinson's sudden decision to transfer to Valparaiso. Both Manuel and Holston will be immediately eligible in the fall. Manuel is a product of The Patrick School in Hillside, New Jersey, where he averaged 16 points per game this past season. His size (6-foot-9, 210-pounds) and offensive inclinations made him an effective scorer in the post. "Adding Valdir, who has multiple skills, at this time of year is a real bonus," said coach Phil Martelli. "We expect that Valdir will enhance our chances to achieve great success this season." The 3-star forward had originally committed to Seton Hall in March after weighing numerous other mid- and high-major offers, including Syracuse, Rutgers, Illinois, Wake Forest and Temple. But after former Seton Hall associate coach Shaheen Holloway left for the Saint Peter's job in April, Manuel started "looking around questioning his playing time, and thought he should look at other schools," Manuel's legal guardian, John Allen, told the Inquirer. Manuel did not sign his letter of intent with Seton Hall by the May 16 deadline, and had been talking with St. Joseph's coach Phil Martelli for about a month prior to Tuesday's announcement. Rumors of academic ineligibility that had surfaced online in recent months are incorrect, Allen said, and Manuel will be immediately ready for the Hawks. "The coaches promised him if he came in and worked hard, that he would have an opportunity to play, and that's all that he wanted," Allen said.